Dust off your Sondheim – we’re spending September with music from Stephen Sondheim. If you don’t have a Sondheim song in your audition book, well, shame on you! You should…but if not, that’s cool, come sing anyway! Curtain Call has made some changes! Please read the instructions below as some have CHANGED! 2. Find a seat and mingle with the other fabulous people. 3. The evening is a party so have fun. You never know what’s going to happen…and neither do we. Come and be part of the show or just sit back, grab a cocktail, and watch some of Austin’s best theatrical talent! You don’t have to get up and sing to have a great time. Singers are selected in a random order, but if you do need to leave by a certain time, please just indicate on your card, or let your host know! 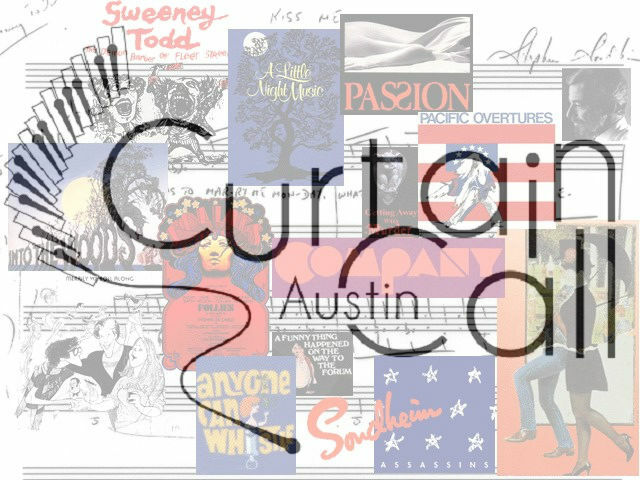 The Brass House, 115 San Jacinto Blvd Austin, TX 78701 (512) 296-2188 is home to Curtain Call. Sign up begins at 7p. Show begins at 8p. Food is available as well as refreshing adult (and non-adult) beverages.